The Third European Space Policy Workshop Key Challenges for Space Policy with Focus on Applications and Human Spaceflight took place on 8 September 2003 at the Castle of Arenberg of the Catholic University of Leuven, Belgium. 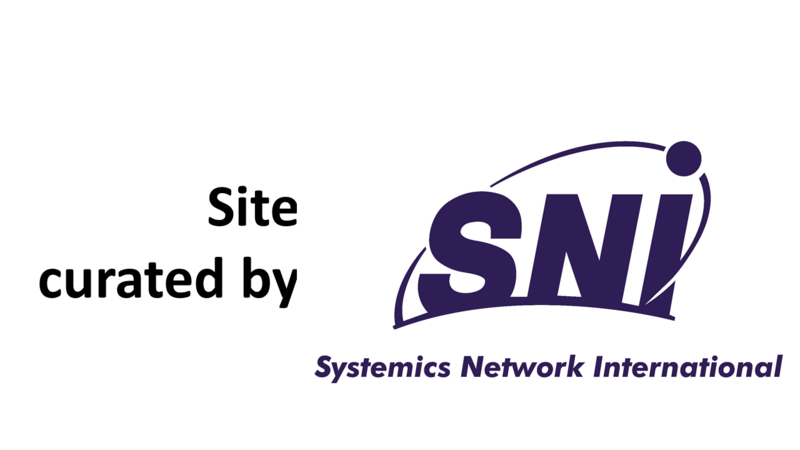 The half-day Workshop was co-organized by the University's Institute for International Law and the Brussels-based space and telecommunications consultancy Systemics Network International. Go to the workshop Programme for links to the texts of speeches and presentations thathave been made available. Background. Much had occurred since the previous workshops in September 2002 and January 2003, notably the holding of a public consultation over the first half of 2003 based on a Green Paper on European Space Policy prepared by the European Commission jointly with the European Space Agency. The organizers, who had supported the consultation process as experts to the CEC/ESA Joint Task Force, therefore structured the programme to provide an opportunity for the space related community and space policymakers to exchange information and views at this critical time between the close of the Green Paper consultation and the issue of a White Paper. The White Paper will set down the lines of future policy for the European Union. The workshop's twelve high-level speakers gave a tour de force of the major policy topics included in the programme. The first panel, on the development of an overall European space policy, included the political figures Mr Philippe Busquin, European Commissioner for Research, Mr Jean-Jacques Dordain, ESA Director General, Belgian science minister Mrs Fientje Moerman and a representative of Italy, which currently holds the Presidency of the European Union. The second panel was devoted to key areas for policymaking and included European Astronaut Frank de Winne and sectoral leaders. The panels were chaired by Prof Jan Wouters and Dr Kevin Madders, the organizers. Prof Dr Marc Vervenne, Vice-Rector of KU Leuven, welcomed the speakers and participants, noting that, with this third workshop, a tradition of holding European Space Policy Workshops at KU Leuven had now been firmly established. The steady success of the workshop series was appreciated by the University, which now looked forward to the establishment of aa European Space Policy Forum to carry the process forward into the future in a structured, long-term manner. He pointed out that the Third Workshop was attended not only by space professionals but also by the students participating in the 12th European Summer Course on Space Law and Policy of the European Centre for Space Law (ECSL). 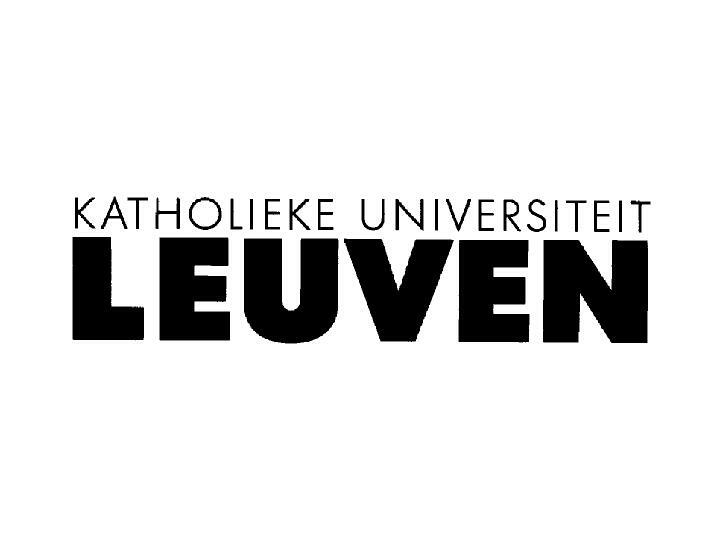 (KU Leuven established its own space law and policy course in 2001.) Bringing together policy-makers, experts and young people interested in space was exactly in line with the hopes expressed during the Green Paper consultations and will certainly contribute to raising the enthusiasm and motivation among the young interested in space affairs. Mr Hugues Dumont, Head of Cabinet of Mrs Moerman, the Belgian Federal Minister for Industry, Commercial and Research Policy, explained that he was delivering Minister Moerman's speech for her, as she had to chair a ministerial meeting abroad. The minister expressed her pleasure at the holding of the Workshop, which came at an important point for Europe but also shortly after the new Belgian government had been appointed. Space is a priority area in Belgium. The country has over decades shown its strong commitment to space, from taking a prominent role in the past in addressing European policy issues, to Ariane's development and to human spaceflight (Europe now has two astronauts of Belgian nationality). A satellite developed for carrying Belgian instrumentation has been launched, while Belgium participates widely across ESA science and applications programmes. Belgium fully supports the citizen-oriented approach to European space policy that is now being developed. It is clear that all Member States of the EU must contribute to building a knowledge-driven society. Commissioner Busquin welcomed the Workshop as very timely and expressed his hope that the workshops would continue. The Green Paper had shown a lively interest in Europe in to openopening up a new era in space and the consultations had confirmed that Europe needed independent and top-class space capabilities based on a strong and competitive industry. New thinking was required so that new applications, including GMES, meet real needs in a sustainable way. Public-private initiatives should be explored, taking the example of Galileo as a testbed. Satellite communications offered the prospect of broadband for all, even beyond Europe's borders. For success, a critical mass of demand and supply must be achieved at European level. Another condition is to form strong international partnerships. Recently, the Commissioner had learnt of South African developments, and had received a request for close collaboration with Europe. This is one of several examples of stronger interest from abroad. For all of these elements of policy, Europe needs solid competences and to be well organized. In this regard, all of the EU institutions are now alerted of the need for a new space policy, and a Resolution of the European Parliament will shortly be adopted. He announced that the Commission was advanced in its drafting of the White Paper on European Space Policy. This is being conducted in cooperation with the European Space Agency, and is due for approval by the Council of Ministers in November 2003. He also noted with satisfaction that an article on space policy has been included in the new draft EU Constitutional Treaty. This provides for a horizontal policy at the service of many policy areas. He looked forward, too, to new arrangements specific to space in the EU budget. A new institutional framework will be developed with ESA, building on a Framework Agreement that is close to completion. Mr Busquin underlined that in order to achieve a forward-looking and a knowledge-driven Europe, it was necessary to invest significantly in space capacity, research, applications and technology. He closed with the strongest endorsement of all these endeavours, noting that "investing in space capacity is the best investment for our future". Mr Jean-Jacques Dordain, ESA Director General, noted that the Duke of Arenberg (after which the Castle is named) sponsored the first coal-gas balloon flight in 1783 using a sponsorship an agreement showing parallels to modern space contracts. Today, the Castle's academic mission allows is allowing ideas on European space policy to be pitted against each other with the necessary detachment. In this spirit ESA has supported the initiative of the European Space Policy Workshops and participated actively in their debates. He hoped therefore that this workshop would contribute to clarifying what is at stake and help define the roles each should be playing at the service of Europe's citizens. Mr Dordain recalled that Europe cannot avoid being a prominent actor, thanks to its having 1/3 of world GNP. This brings duties that are associated with political, economic and scientific power, whether one speaks of advancing knowledge, peacekeeping, or conservation of the planet's resources. To fully play its role fully, Europe must develop the means for doing so, and space capabilities are sometimes uniquely appropriate. He referred here to European capabilities, but noted that the US had integrated its space systems fully within its political agenda. Europe by contrast had not, and played a role far from commensurate with its weight in the world. European space policy therefore, at a time of Europe's enlargement, needed to be "enlarged". Recounting previous developments in this regard, he affirmed that the goal must be this time to establish an overall policy that integrated not merely "supply" elements but also the demand - in transport, environment, the information society, security, and so on - that is generated by other European policy areas. ESA-EU cooperation has a solid basis because the two organizations are entirely complementary, with ESA bringing space resources to bear and the EU the requirements for action in the 21st century. Funding synergies must reflect the complementary character of the two organizations and not try to achieve a lowest common denominator. Institutionally, the fact of separate evolution up to now leaves us all with the queston of how ESA's position should be defined within the EU framework. ESA will thereby must acquire a legitimacy it currently lacks, to the detriment of all sides. The Director-General will therefore proposes that ESA Member States agree to start quickly on a wide-ranging analysis to that will act as a basis for "a genuine refounding" of Europe's public space sector within the framework of its institutions and involving too will also involve national agencies. For its part, Tthe new ESA-EU Framework Agreement will create a system of cooperation over four years that will deepen relations and trust in relation to concrete programmes. Proceeding with such programmes should raise space activity in Europe by nearly a third and be accompanied by a relationship with the future European Armaments Research and Military Capabilities Agency. A decision should be taken in 2007 on the organization of the European public space sector. This must be taken into account in the draft EU Constitutional Treaty. Concluding, Mr Dordain expressed his own commitment to making ESA become "the ideal solution for the EU", provided that this was a solution that added real value in the sense of doing more space activities for Europe's citizens and was in the service of realizing a role on the world stage commensurate with Europe's potential and expectations. · Space science, the need for which was strongly reaffirmed during the Green Paper consultation. He noted areas not addressed or addressed in any great detail in the Green Paper that had aroused major discussion. In the international arena, there is a balance to be struck between pursuit of autonomy and achievement of goals through cooperation. International cooperation remains an attractive option and is not, in fact, incompatible with the objective of European autonomy within a coherent approach. Human spaceflight clearly demands more attention in a policy than it has recently received, not least for its vocational impact. Security too requires major attention in the White Paper. Institutionally, the consultation affirmed the EU's role at the strategic level, while ESA is a very good example of how to organize space programmes. The idea of a shared EU/Member State competence in the new EU Constitutional Treaty attracted very broad support. In terms of participation in events 42% came from industry, 27% from the government sector, and 6% from universities. The consultation's web forum received 200-300 hits a day were received on the consultation's web forum. 1. A general cooperation agreement between ESA and the EU, where both organisations remain independent but define their partnership tasks by way of treaty. 2. A decisional arrangement, under which the EU would be responsible for the political decisions and ESA implementation ones while remaining institutionally sovereign. 3. An integrated model, bringing ESA entirely within the treaty framework of the European Union and becoming an agency for implementing EU policy. 4. EU membership in ESA member, with a similar status to that of Canada. No model was free from complications. No. 1 might well not go far enough. No. 2 raises the question of whether it is possible to distinguish between "policy" and "programme" decisions. While No. 3 can be supported by numerous examples, such agencies are normally established by Regulation and remain under the control of Commission. This might undermine ESA's role. No. 4 meets understandable resistance on the EU side as it does not satisfy the needs of institutional reconstruction. The Framework Agreement does not provide much guidance (as it is only the first step). What is most significant, however, is the insertion of a shared competence for space in the draft EU Constitutional Treaty. Even if all options are still left open by this approach, the Constitution will inevitably increase the mandate of the EU and the tendency would seem to be in the direction of ESA becoming some form of executive agency. Prof. Hobe mentioned in more detail some of the possible intermediate variants on the models presented. One of the negative features of maintaining independent structures was the complexity in decision-making, as unanimity could be involved on both sides. A Space Council could be created to overcome this, but other questions then arose in this regard, notably including as concerns funding mechanisms. Mr Giuseppe Morsillo, Head of Strategic Planning and Control at the Italian Space Agency, speaking on behalf of the Italian Government, noted that the Italian government EU Presidency considered space not only as a resource of extraterritorial nature, requiring a set of intergovernmental rules for its use, but as an asset serving a variety of objectives and policies with returns of a strategic, social and commercial nature. the publication of the White Paper on space. The general part of the Workshop was followed by discussion, in particular on institutional questions, the future of the European science and engineering base, and , efforts of the EU to involve the younger generation in space programmes. Prof. Wouters paid tribute to the distinguished first panel's presentations, which matched all expectations. The second part of the Workshop was devoted to New Applications and Human Space flight issues, and was chaired introduced by Dr Kevin Madders as chair. These panel's themes had been identified in the Green Paper consultation process as meriting special attention and possibly priority in policy-making. In regard to GMES, he recalled that the first European Space Policy Workshop had highlighted environmental monitoring as a field which struck all the right notes with the public, a public that is green, worried about economic and general security and keen on predominantly civilian, science-type space projects of practical relevance. As regards Galileo, this project is susceptible to risk of various kinds: developmental, if only to a degree,to some extent but much more risk as to market entry, operational economics and, crucially, maintaining political will. As to human spaceflight, could, even here, Europe establish its niche in which it can forge ahead? Indeed, is there a human spaceflight scenario where Europe could be the driving force, in what would necessarily be a cooperative effort? The final aspect the panel would open up was getting the balance - and approach - right between R&D and utilization, an issue on which many projects had foundered. Mr Luc Tytgat, Head of the Space Policy Unit at the European Commission, explained that Europe had committed itself to achieve sustainable development and governance within the Union's territory, ensure co-leadership on global environmental issues, improve citizens' quality of life, environmental knowledge and security, and that GMES is designed to support fulfillment of these commitments by providing the adequate required information. The aim is to achieve an operational and autonomous European capacity for global monitoring for environment and security by 2008. He outlined the phases of the GMES project to make this possible but emphasized that planning is still in progress on many aspects. Dr David Williams, Head of Strategy and International Relations at EUMETSAT, noted that elaboration of GMES and the White Paper's development were processes that were inextricably linked. Strategically, GMES had a short term and a long-term perspective and the White Paper needed to link itself to the GMES long term perspective. He recounted in this context the way in which the demand for global environmental information had progressed through the various applications and as well as the strengths Europe had acquired in GMES-related capabilities. Im making policy Europe needs to take a strategic decision on being a player in governance of the environment at a regional and global level for the benefit of society. To achieve this Europe at EU, EC and national levels, it needs to maintain existing activities, recognize the need for more operational funding support, and assume a prominent position in international debates in relevant forums. Jörn Tjaden, Head of the Technical Division of the Galileo Joint Undertaking, stated that a Community transport policy, provision of safety of life applications, and exercise of control over civil satellite navigation systems all required development of such system as Galileo. He mentioned that Galileo was the first space programme on a multi-billion euro scale on which the EC and ESA are cooperating. It provides valuable experience to both organizations. The project is now, after long political delays, beginning to shape up. The first Galileo-specific Call has been issued under the Sixth Framework Programme. Yet there are many challenges. The project still requires a concessionaire to be found that is willing to take risks of operating the system. Indeed, numerous legal issues remain open as to how devolution of this system will work in practice. Delay had imposed its costsburden, too, on the programme. Mrt Tjaden nevertheless expressed the firm commitment of all concerned to realize this ambitious programme within a realistic timeframe and budget. Discussion was opened following this presentation. During it, the speakerMr Tjaden explained how tortuous had been the path of EC-ESA collaboration, with a chain series of different, tentative structures being established. Looking to GMES he and Mr Tytgat expressed confidence that a much firmer understanding now exists on how to proceed with GMES and other new projects that involve the two organizations. Frank de Winne, European Astronaut, strongly advocated putting human spaceflight high on the European space policy agenda for a number of reasons, including boosting scientific research and development developing key technologies directly applicable to the challenges of the 21st century. It can also reinforce a European identity and make Europe a stronger partner in international cooperation, for which the opportunities are vast. He noted that there was no permanent European crewmember on the ISS which is indicative of Europe having made a contribution not commensurate with its potential. Future cooperation demands a stronger role. The Aurora project offers an excellent framework in which to examine, and then undertake, such cooperation with a view to human flight to Mars. He also pointed out that many of the space R&D programmes in this area are due to be finished in 2004 (like Columbus, ATV, X38). Yet there were very few new programmes to ensure continuity and to keep the existing momentum. It is hard to create these capabilities, but very easy for them to dissipate with through neglect. He outlined a number of options, beginning from with development of European crew transportation capabilities, using Kourou for Soyuz launchingsers and extending to longer-term programmes up to the year 2030. During discussion, he felt that, when China successfully launches a human into space, this is likely to cause Europe to reconsider its own position in this area. The consesnsus was that, even if Aurora may not be sufficiently ambitious in its timeframes (manned mission in 2030) to be exciting to many in Europe, it could, like the ISS, act as a way towards embarking on more ambitious activities. Joachim Majus, of T-Mobile Deutschland, presented his views on the way the space industry works and should be reformed based on long experience in it and in the "user" sector, which is rarely only concerned with space applications. His main point was that in order to survive and to grow, the space industry has to become far more demand-driven and user-oriented controlled rather than staying reliant on institutional and member states' funding in "sponsorship" mode. He presented a market-based rationale for establishing programmes, under which the user community - not the R&D organization interests - would have budgetary responsibility. He argued that this model would increase the economic rationality of space investments, ensure a higher return to citizen-oriented applications, and dispense with the need for potentially market-distorting mechanisms, including even the geographical return system. Closing the Workshop, Dr Madders thanked all who had contributed to its success, and invited the participants to continue their exchange in the reception that followed and through participation in the new Interdisciplinary Centre for Space Strudies at KU Leuven.